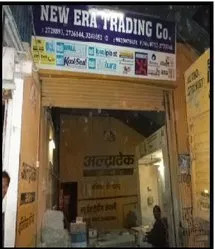 Established in the year 1972, we, “New Era Trading Co.”, are a prestigious business organization engaged in trading and supplying a comprehensive assortment of Construction Material, Pipe Fittings and Two Wheelers. Our construction products are widely appreciated by the clients for exceptional strength, robust construction, corrosion & abrasion resistance and durability. The offered range is fabricated using superior-grade components, genuine tools and advanced production techniques at the vendors' well-established manufacturing unit. In addition to this, these vendors assure that the entire production process is carried out in adherence with the global quality standards. Further, to cater to the diversified demands of the customers, we offer the products in varied sizes and dimensions. Owing to the diligent support of our vendors & professionals, we have been successful in fulfilling the diversified demands of the customers in an efficient manner. These vendors are selected after an stringent examination process that comprises evaluation of their credibility, financial stability, track record and varied other details. Moreover, our vendors carry out the entire business operation under the watch of expert professionals. Once the goods are obtained from the vendors' end, they are thoroughly tested on varied quality parameters to assure their flawlessness, zero-defect and authenticity. Moreover, we have developed a capacious warehousing unit, where the entire range is carefully stocked to facilitate orderly fulfillment of the bulk consignments. All our team members are allocated with different duties that they execute in their respective departments. Further, the team members frequently interact with the clients to know their exact requirements and serve them accordingly. Moreover, no stone is left unturned to assure timely delivery of the consignment at the clients' end. Additionally, we follow ethical trade practices and practice fair business deals. Besides, for the ease of the customers, we provide them with flexible transaction options. Under the able guidance of our mentor, 'Mr. 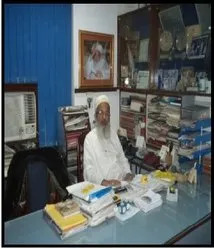 Shaikh Fakhruddin Fidvi', we have been able to earn a reputed position in the market. His positive attitude, motivating persona, rich experience and in-depth knowledge has enabled us to scale new horizons for the organization in this domain. We are backed by an efficient team of dexterous professionals, which assist us in the entire business operation. Our procuring agents conduct deep market researches & surveys to select dependable and competent vendors from the market. Further, we have appointed deft quality experts who thoroughly examine the entire range on varied parameters to assure flawlessness & zero-defect. For retaining the quality of the products offered by us, we undertake qualitative packaging and hygienic storage of the entire range. Henceforth, we have developed a capacious warehousing unit, where the complete stock of paints and primers is carefully stocked for the orderly fulfillment of the clients' requirements. Further, our professionals utilize leak-proof containers, tins and drums for the packaging of these products. Once the packaging is completed, the complete consignment is stored at the warehouse which is well equipped with all the modern amenities. Further, the warehousing unit is segregated into different sections for easy management of the inventory. This helps in easy storage and retrieval of stock during loading & unloading. 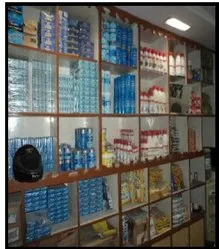 Moreover, numerous precautionary measures are undertaken to ensure proper storage of the complete range. We are a reputed business entity engaged in catering to the variegated demands of the customers by providing them with a commendable assortment of Construction Material, Pipe Fittings and Two Wheelers. Sourced from authentic vendors, the range is acknowledged by the clients for low maintenance, sturdiness and reliability. Owing to the rich industry experience, we have been able to establish close alliances with highly competent and reliable vendors of the market. Further, we work in close accordance with these vendors to bring forth a quality-approved range of products. Relying on the extensive support of these vendors, we have been able to establish a streamlined network that enables us in carrying out the business operations in a swift & efficient manner. A rigorous and elaborate selection procedure is adopted for the selection of these vendors. Heralded as one of the reputed trader and supplier of construction products, we aim to attain complete client satisfaction by the aid of quality approved our products. Henceforth, we source the entire range of products from reputed vendors. Additionally, we stay in regular touch with the clients to know their exact requirements and serve them accordingly. Moreover, we follow total quality management under which the complete stock is thoroughly tested on varied parameters to assure flawlessness.